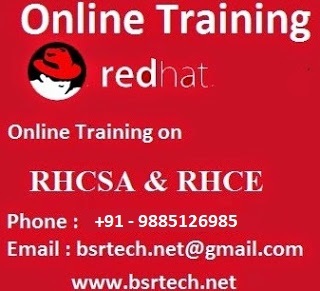 BSR Technologies is a brand as providing good quality online(world wide) and offline trainings(Hyderabad) to all students & Job-Holders.We are providing best training on Linux Administration(RHEL/CentOS) in Realtime. Any critical issues faced by resource resolved using Teamviewer, webex. Supporting the resource with Top 200 Interview questions. Resume built in best corporate standards according to the job description. After each week a status exam is conducted. Offline & online trainings are conducted everyday,Weekend trainings for job holders. We will send the upgraded information via email. Explaining bugs and critical issues and development activities 24*7 technical supports sevices. Architectures Of Linux File System. Create new VM’s in VMWare ESXI Base Machine.